You will never find a more effective place to speak up and change Texas than inside your voting precinct. Tomorrow, Tuesday, March 6, from 7 a.m. to 7 p.m., politicians who make the rules must listen to you in the primary elections. Primaries go a very long way in determining who gets nominated for office. For practical purposes, many of the elections tomorrow will decide who represents you in 2019 and beyond. So far, Texas voters have broken early voting records for a gubernatorial primary. Democrats, especially, have doubled their participation from 2014. Much is at stake for working families on Tuesday. Beto O’Rourke, the COPE-endorsed candidate for U.S. Senate is driving the entire state looking to change the way politics is done. 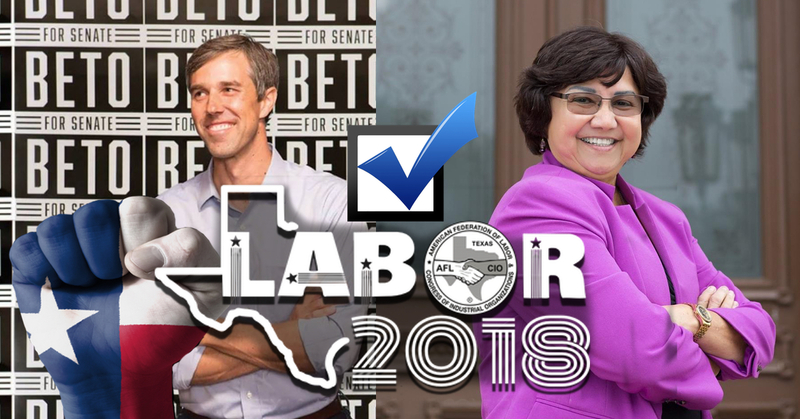 Lupe Valdez, the COPE-endorsed candidate for Governor, joins Beto in backing the issues we care about: higher wages, access to health care for all, paid sick leave and a restoration of public schools as top national and state priorities. Each candidate is fighting for your right to speak up for a better workplace. It’s time for you to be heard if you have not voted already. 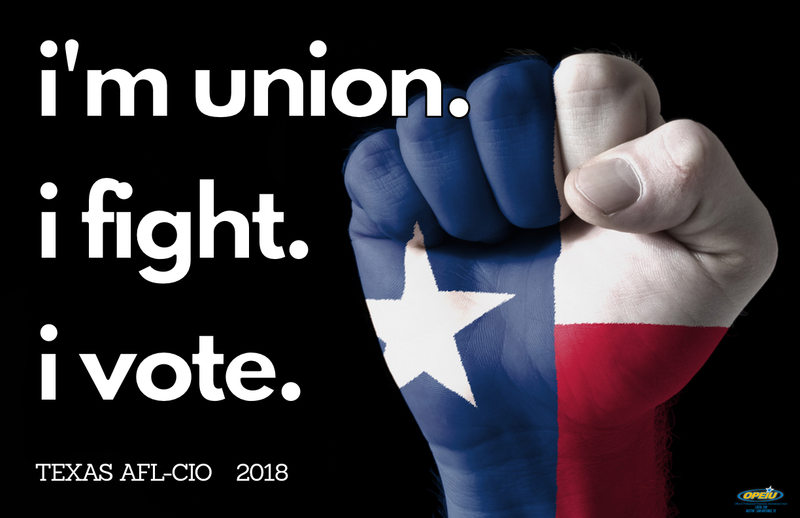 The Texas AFL-CIO COPE has posted statewide, congressional and legislative endorsements. Your Central Labor Council or Area Labor Federation has made endorsements in local contests. Take advantage of the best chance you get to make a difference. Vote Tuesday, March 6!